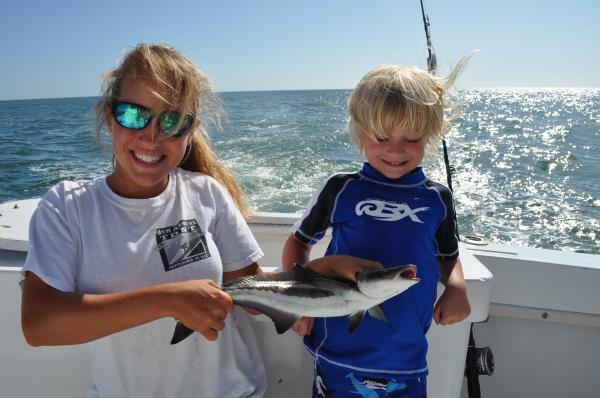 Good catch for the morning. 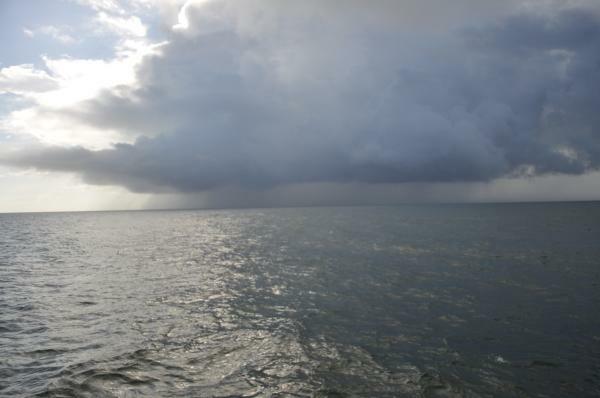 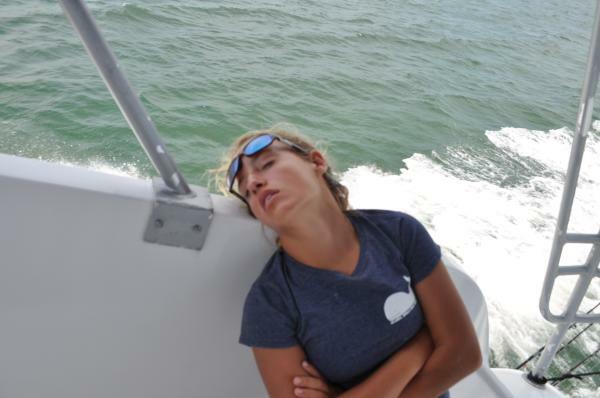 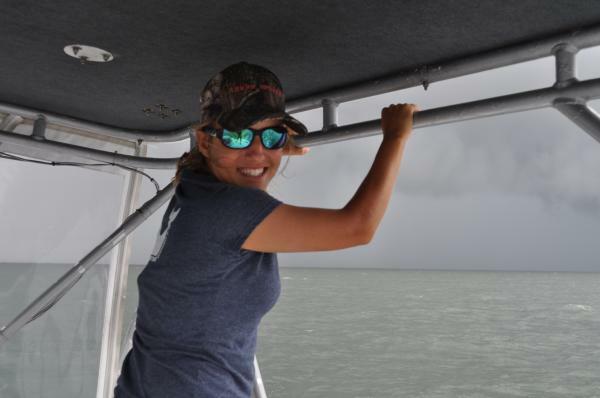 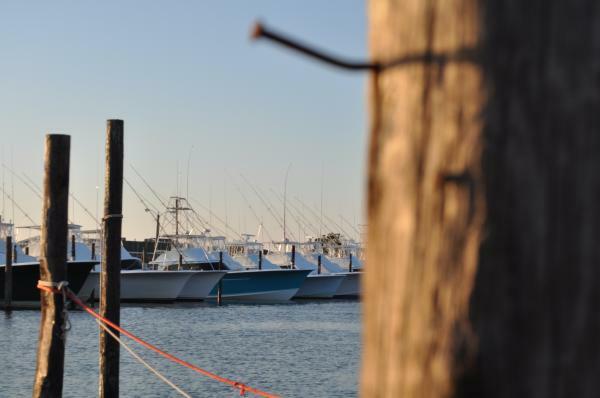 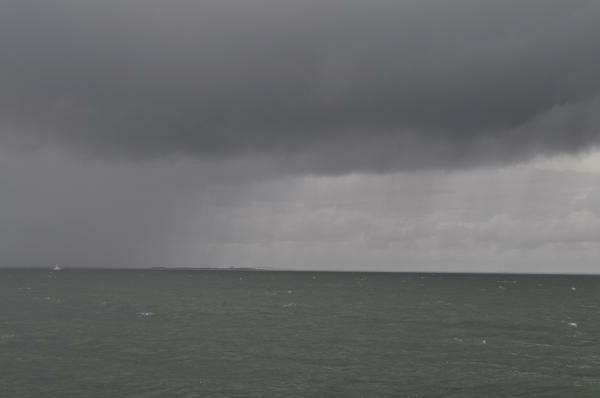 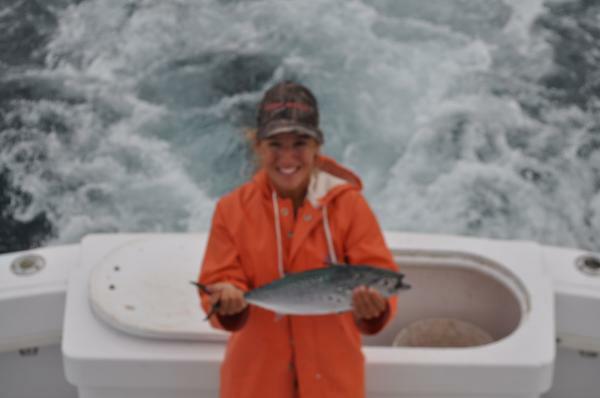 "The weather( read LOTS of wind) over the last several days has helped our catches run from very good to very poor. 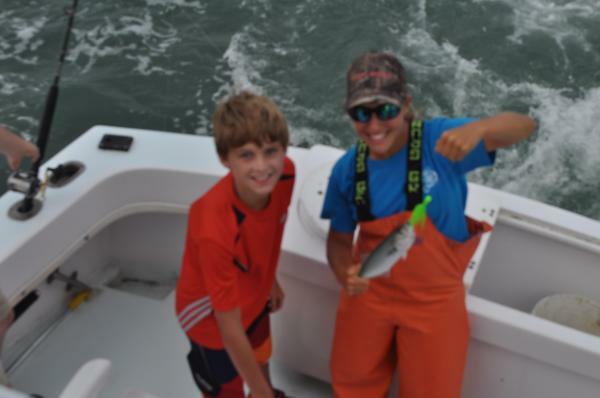 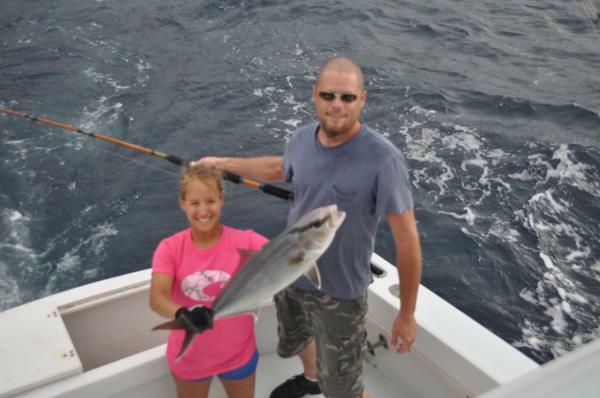 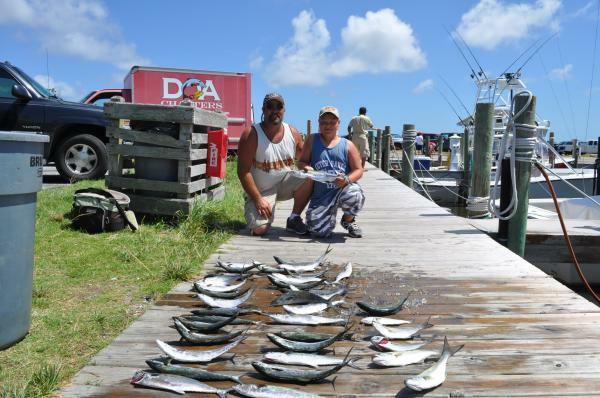 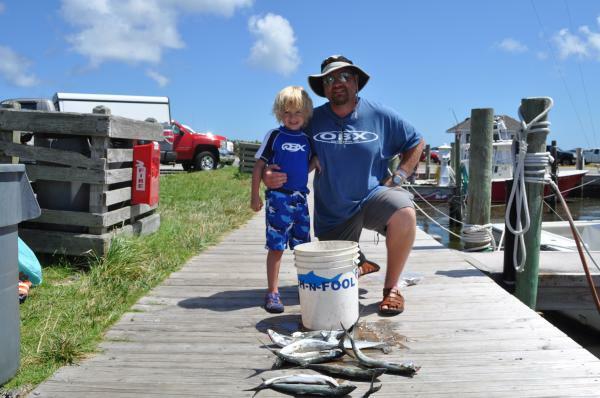 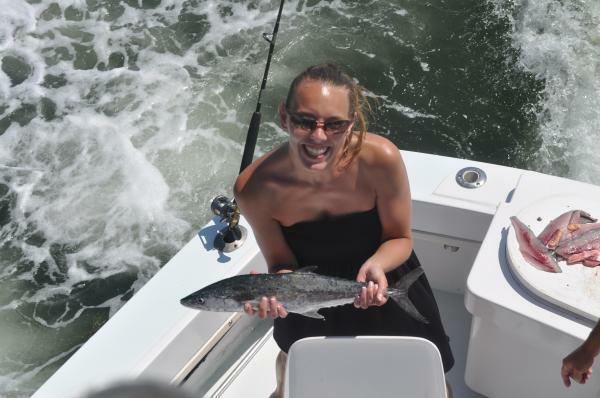 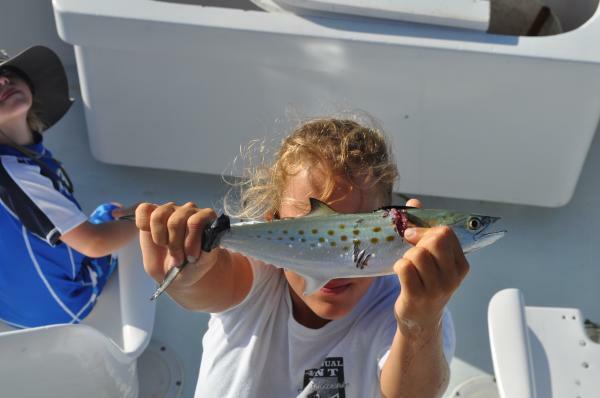 The spanish mackerel fishing has held up pretty well but the blues have been a hiy or miss. 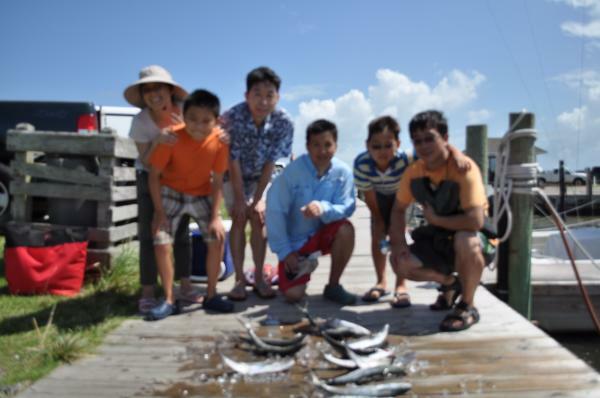 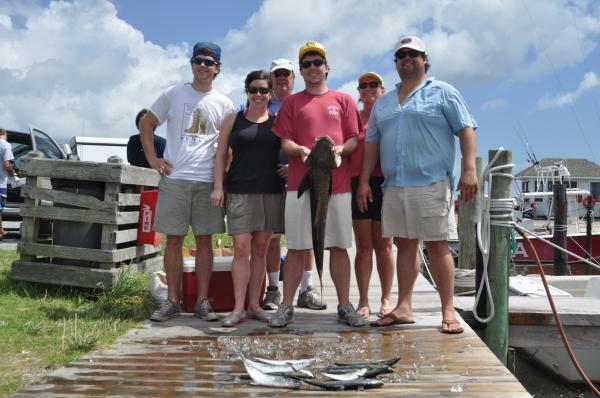 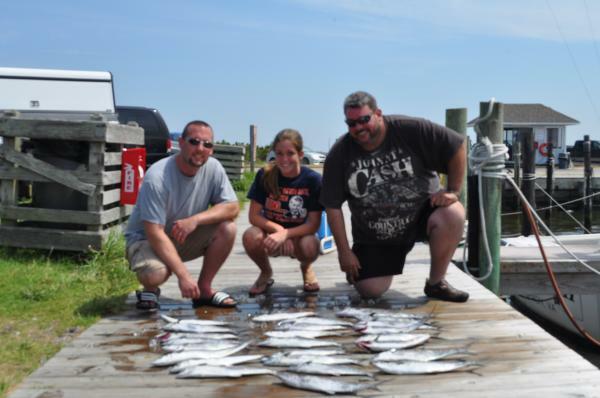 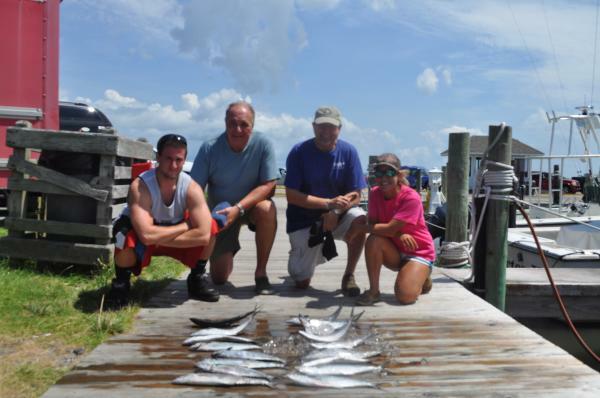 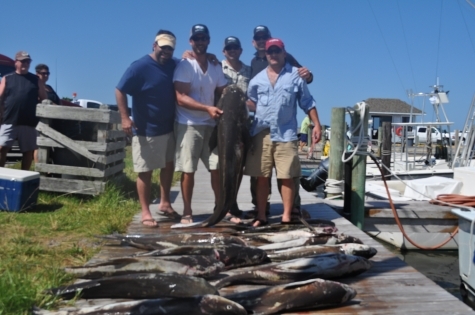 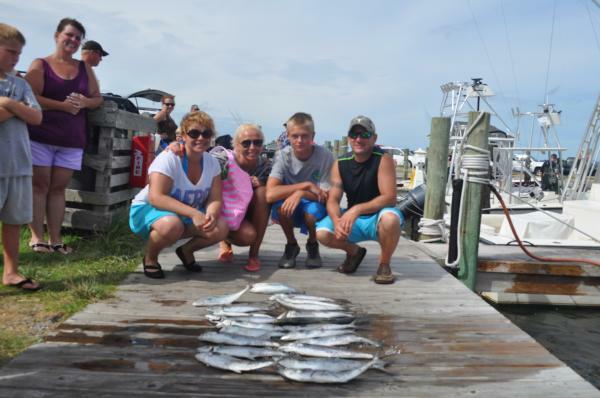 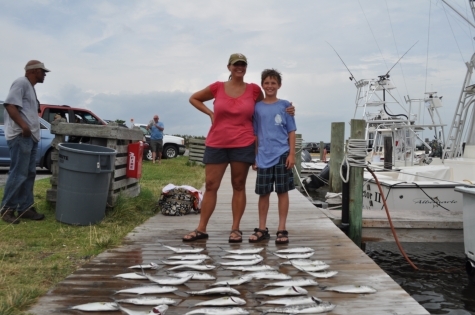 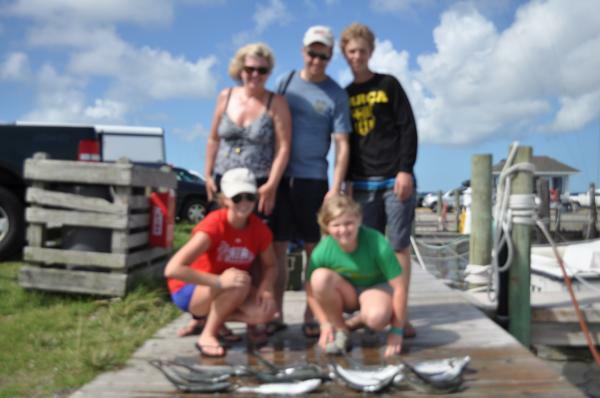 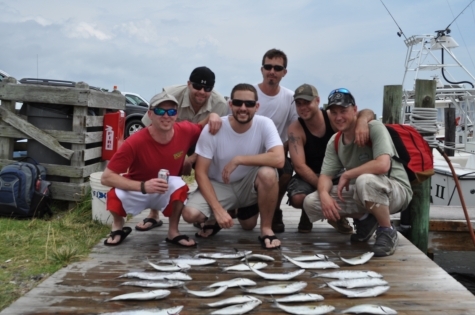 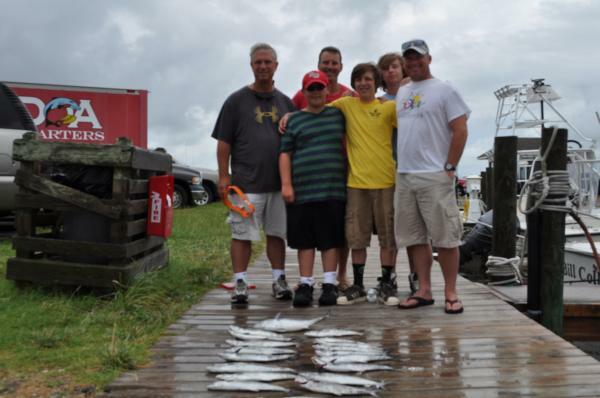 Here is some of the Paul Jetter family with their catch they landed on the pm of the 29th. 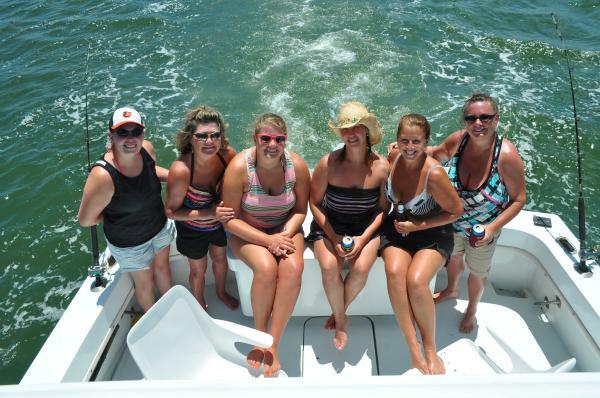 Thanks again folks, we enjoyed having you with us! 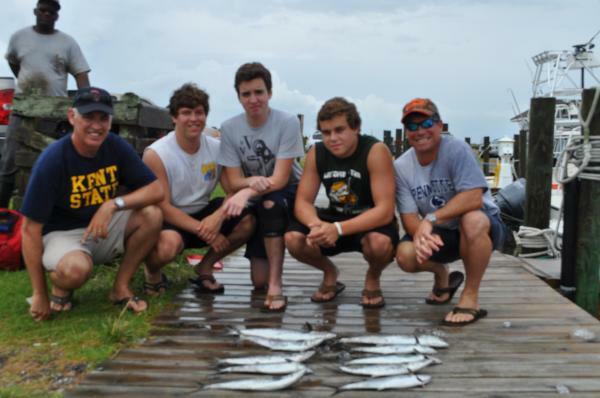 Bobby"